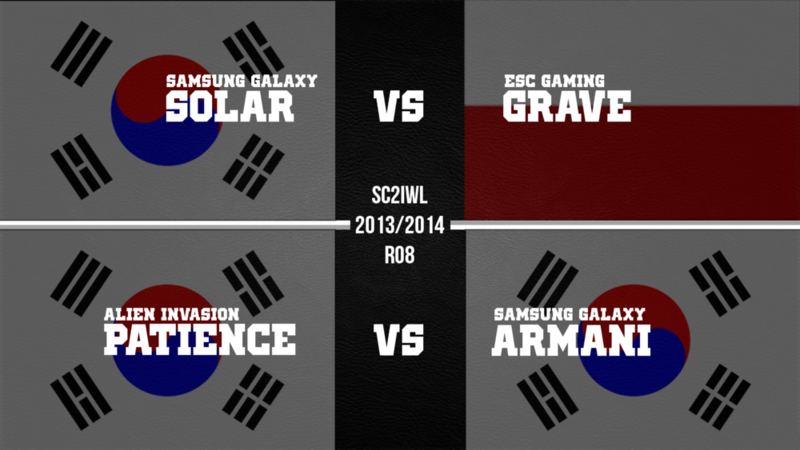 Here we are - the SC2Improve Winter League is in the single elimination stage. 8 players remain and by god the line-up is good. We will split the RO8 into two days (Monday and Tuesday) with two of the BO5s on each day. Next week we will host the semi-finals, 3rd place game and Finals on the same evening. So let's get into talking about this! There is 11 years of age difference between these two players - which I personally find a little bit crazy. At fifteen years of age Sjaak has huge potential to go far in the future and I am sure we will see him develop into being one of the best players in the EU scene once he turns 16 and begins to compete in WCS. His games in the RO16 against DIMAGA were just ridiculous. If you didn't see them already you should check them out because they were genuinely some of the most exciting and close games I have ever casted. It was no walk in the park for Sjaak to make it this far, but he is here. Tefel is somebody nobody would have expected to lose before this point. He is an absolute beast in online tournaments and can oftentimes turn those results into some decent offline placings as well. Group A was a walk in the park for Tefel when Arthur did not show up to play. He went 2-1 against Noname and 2-0 against GraVe to make it here. Last time Tefel placed third and I am sure he wants to go one step further this time. Looking ahead to this game it's going to be interesting. Tefel absolutely adores a Roach-Hydralisk style of play and this is extremely well known stuff - something that Sjaak could maybe look to abuse if he can do it right. Sjaak showed us a variety of styles against DIMAGA and I am sure we are going to see some of those again here - a mixture of Immortal all-ins, cannon/Zealot contains and sickening macro games. Being unpredictable is going to be one of Sjaak's biggest weapons in this Bo5 - while it could be one of Tefel's weaknesses. Will Tefel power on through as everyone expects he will, or will Sjaak continue to turn heads and impress? Honestly, I think we might be in for a bit of an upset here in our first quarter-final game. Well thank the heavens uThermal didn't draw a Protoss player in the Ro8. His RO16 performance vs Patience left a lot to be desired. He did look pretty good against his Zerg opponent TomikuS however, rolling over him in three macro games and performing a fairly impressive hold on an unscouted Baneling bust in another game. This bodes well for him here to make it through into the semi-finals. JonnyREcco has shown a bit of weakness to Terran players as of late - just recently losing in the Plantronics Cup to RobbyG. He has been on a consistent improvement since he made a 'return' in Heart of the Swarm after being quiet for quite some time. JonnyREcco did look fairly unstoppable in his ZvP and ZvZ in Group D - marching on through against Adonminus and DIMAGA with a 4-0 map score. He is definitely in form. What this match will bring I honestly can't quite work out. uThermal has not been a player to go for any Mech play, but in a longer series it is definitely something we could see mixed in. I am expecting a mixture of different Bio-Mech compositions, either Bio-Mine or Marine-Tank. JonnyREcco is not the kind of player to all-in - he is likely going to rely on the very standard composition of Mutalisk, Zergling Baneling to take the victory today. Drawing games out to the macro game where heavy multi-tasking becomes important is what JonnyREcco excels at. Then the Koreans came out to play. Our second day of the RO8 sees our three remaining Korean players go into battle. Can our Polish Protoss GraVe cause an upset? Or are we just going to be left seeing the two expected tournament favorites Solar and Patience move on through to their semi-final matches? Is this going to be the stomp we expect it to be? Solar is a level above most people in the tournament and is going to be hard for anybody to stop. On the other hand GraVe did show some good games to make it here - but we are still left remembering he lost 0-2 to Tefel and how much of a stomp that looked to be. How will he fare against a greater opponent? I don't know what to tell you guys, really. I want to show some support for GraVe, it's great to finally have him in the RO8 of one of the SC2Improve leagues - but in reality he has drawn the short straw and whatever he tries Solar's macro and decision making is likely to just be one step ahead. When you consider this is a Bo5 it becomes ever more difficult to reason that GraVe will win 3 maps. Sorry GraVe, your luck is over here. This should be a bit more of an interesting match! Patience has definitely been on top of his game lately placing highly in numerous foreign tournaments. Armani hasn't had quite the same run, failing to win in Proleague as well as not making it very far in any online tournaments as of late. But he is dangerous - he stomped through SeleCT and Pink to make it to the RO8 and I'm sure he does not want to stop here - he is hungry for victory as well as maybe a rematch against team mate Solar in the finals. Patience will be hard to beat though - he has shown in his tournament results he is a very versatile player. He can and will play a different strategy on each different map and this is something Armani is going to have to worry about. He is going to be the reactionary player throughout the whole of this series and his scouting, decision making and control is going to have to be on point to deal with the multi-pronged aggression and the crisp timings which Patience is going to throw at him. I feel Armani will put up a good fight, but that Patience will just move over him overall. His time in Europe has really made him a different caliber of player - let's see if it shines through today.